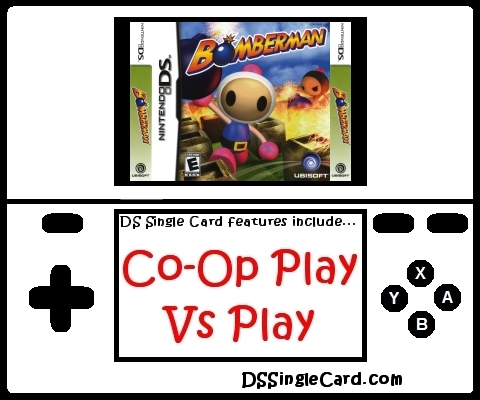 Alternate Names: "Bomberman DS", "Bomberman DS 1"
Bettle with friends! - Battle it out with 8 friends wirelessly, using only one Game Card! Blow your mind! - 100 puzzle-filled stages explode across two screens, adding crafty new ways to surprise opponents. Shout it out! - Use your voice to set off bombs and taunt friends over the new DS microphone.